Environmental Protection Agency is for Young Adults. 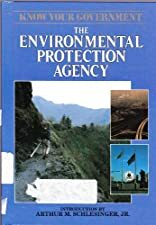 Environmental Protection Agency was written by Arthur Meier Schlesinger and Kevin Law. Environmental Protection Agency was published by Chelsea House Publishers. Subjects of Environmental Protection Agency include Children's 12-Up - Politics / Current Events, Children's Books/Young Adult Misc. Nonfiction, Children: Grades 4-6, Children: Young Adult (Gr. 7-9), Educational: Citizenship & social education, Environmental Protection Agenc, Environmental Protection Agency, Juvenile Nonfiction, Juvenile Nonfiction / Social Science / Politics & Government, Politics & Government, Social Science - Politics & Government, United States, and United States..